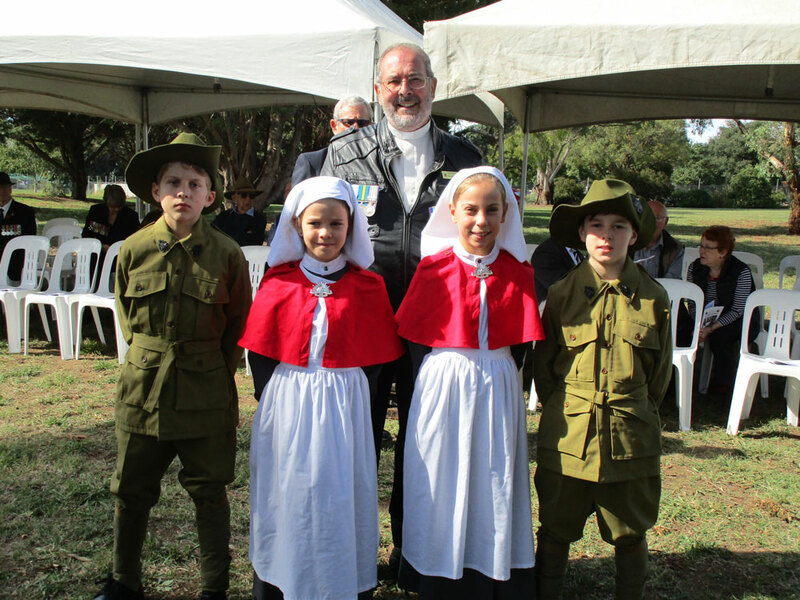 Sacred Heart Wanniassa students dress in period costume as nurses and soldiers with Reverend Mick O’Donnell. Photo supplied. 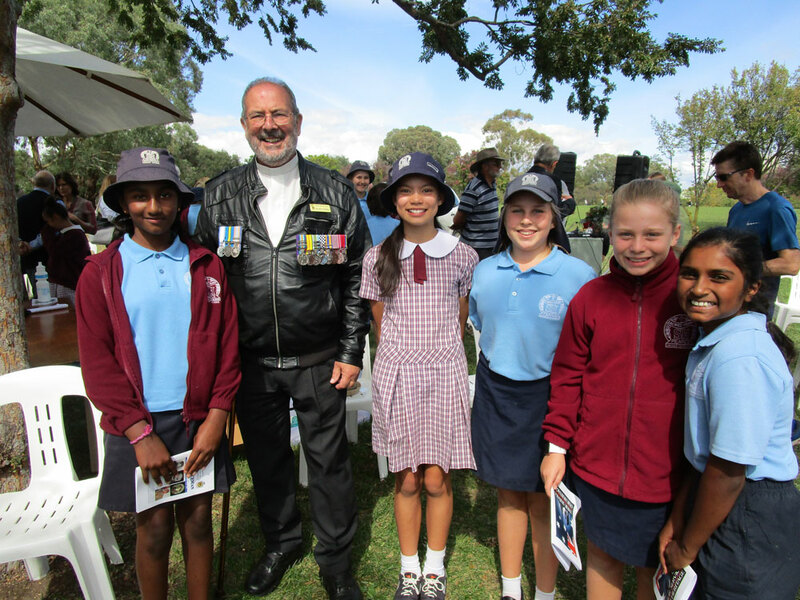 For the past 26 years, the Woden Valley Sub Branch of the RSL have hosted a Peace Memorial for all the schools in the Woden and surrounding areas at Eddison Park – a former farm owned by the Eddison family, 3 sons of who died during WW2. 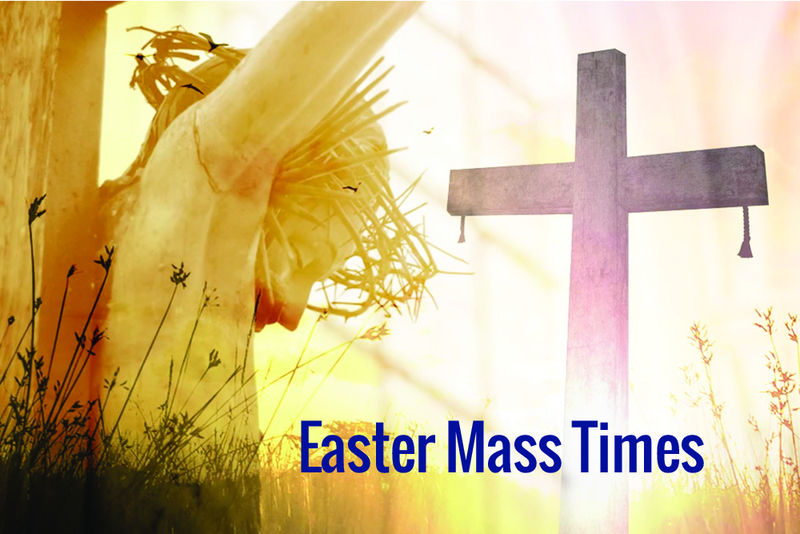 This year, on April 3, around 400 students attended. Accompanied by the Canberra Youth Orchestra, a Catafalque Party and many dressed in period uniforms – soldiers, nurses, sailors etc – the attentive group were addressed by the representative of NZ High Commissioner, Colonel Rob Loftus RNZA and Natalie Howson, Director-General ACT Education Directorate. 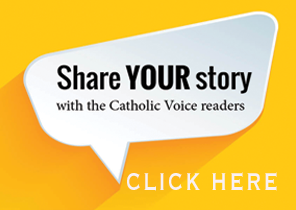 Reverend Mick O’Donnell, Vietnam Veteran and former AFP Chaplain and RSL Chaplain said prayers and gave the Benediction. Veterans from many conflicts and Peacekeeping activities attended and shared their stories with the children. 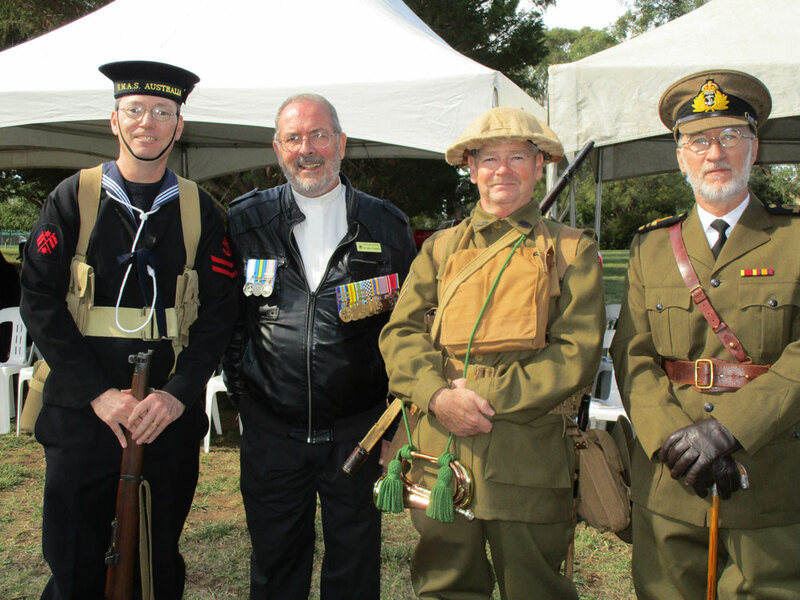 The students in ANZAC WW1 costumes are from St John Vianney Primary School, Waramanga.